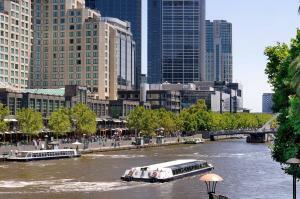 Easy walk to Southbank, DFO, the city and South Melbourne Markets. Fabulous Mexican restaurant downstairs - highly recommend!! Location perfect for our requirements. Facilities clean and tidy and highly satisfied with staff. The staff were very friendly and able to easily accommodate my request for extra parking. Also able to leave luggage there before afternoon flight. Very comfortable room, and enjoyed quieter location just outside of the city, with tram stations just around the corner. Also close to the National Gallery and with small cafes just downstairs when needed. Overall, very enjoyable stay and would recommend. It was a lovely surprise to be upgraded from 1 bedroom to 2 as mum and I were going to share. This is our 2nd visit as it’s only metres away from Hamer Hall where we went for a show and having limited mobility means it’s walking distance. Great location, beds were very comfy!! Quiet building and we were able to get good sleep. Really good water pressure in the shower too!! Very clean and comfortable! Great location. 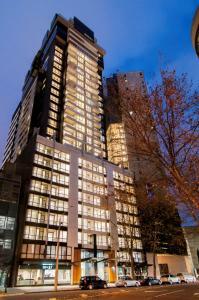 This is our go to accomodation in Melbourne. Perfect every time! Great location in Southbank. Big spacious rooms & offer really all you need for trip away. Lock in a great price for Quest Southbank – rated 8.5 by recent guests! Quest Southbank This rating is a reflection of how the property compares to the industry standard when it comes to price, facilities and services available. It's based on a self-evaluation by the property. Use this rating to help choose your stay! Quest Southbank offers spacious modern apartments in a quiet location, only 500 feet from the restaurants along Southbank Promenade. Each includes a fully equipped kitchen and a private balcony. 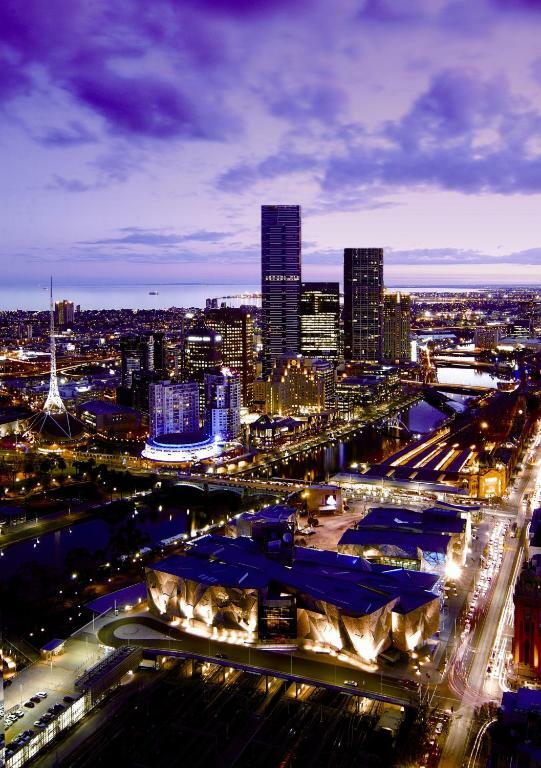 Quest Melbourne Southbank is 350 feet from The Arts Center and the nearest tram stop is just 150 feet away. 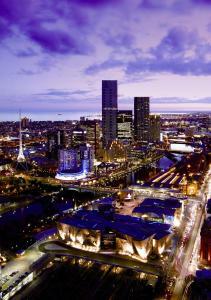 It is a 10-minute walk to Crown Casino and a 10-minute walk to Federation Square. All apartments are tastefully furnished and offer guests a private bathroom, laundry facilities and a living room separate from the bedroom. The large living room includes digital TV and a DVD sound system. A free guest WiFi plan is provided in all apartments. Cable TV (8 channels) is also available in all apartments. 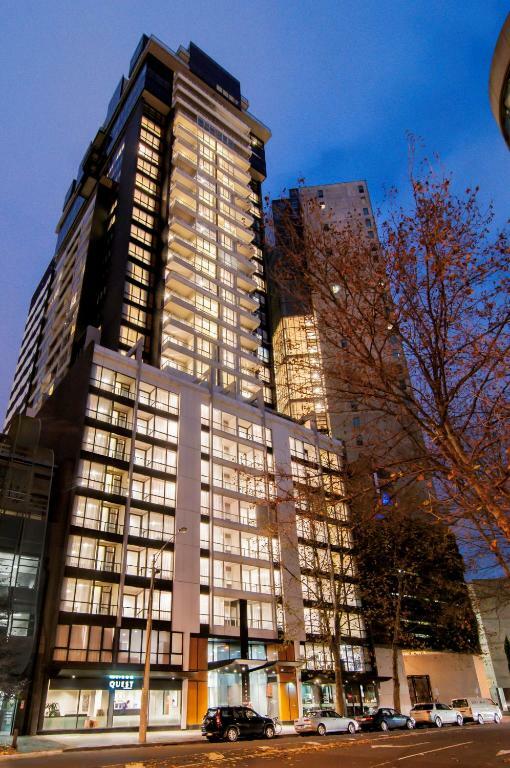 Larger executive apartments offer views over the city, the bay or the Kings Domain Gardens. Facilities include a fitness room, sauna and on-site car parking. 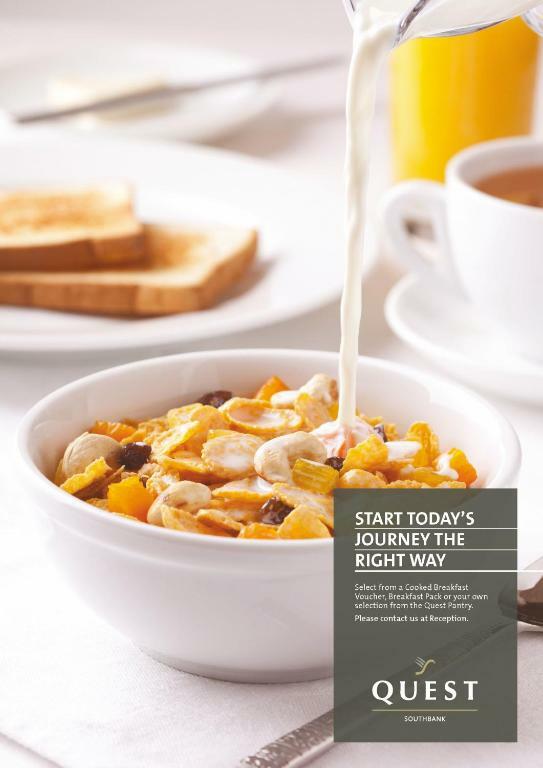 Quest Southbank offers grocery shopping services, luggage storage and 24-hour reception. 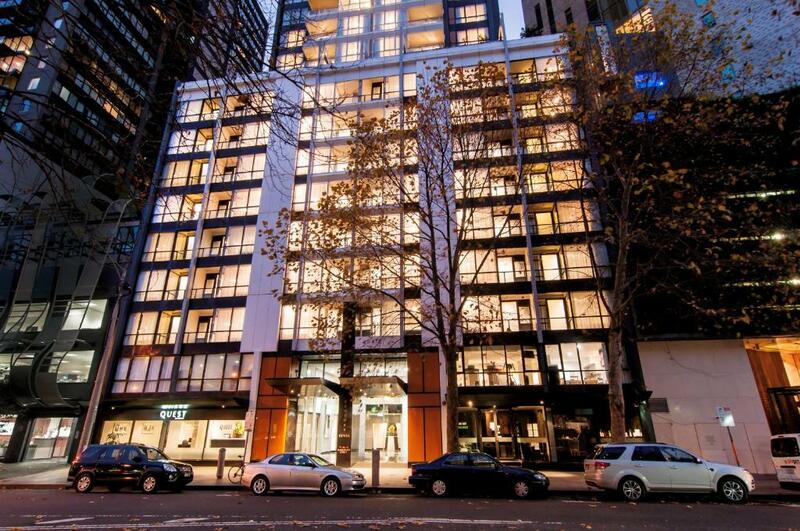 뀐 Located in the real heart of Melbourne, this property has an excellent location score of 8.9! 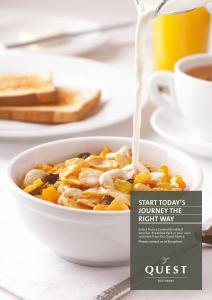 When would you like to stay at Quest Southbank? These self-contained apartments include full kitchen and laundry facilities. The bedroom is separate from the living area, providing lots of space for relaxation or business. Public parking is available on site (reservation is needed) and costs AUD 30 per day. These larger one-bedroom apartments are complete with full kitchens and laundry facilities. The bedroom is separate from the living/dining area. Please note that guests can request their preferred bed configuration in the Special Request Box during reservation. Please note that the bed configuration is not guaranteed and will be confirmed upon arrival, subject to availability. Featuring 2 bathrooms, these apartments offer full kitchen and laundry facilities. The bedrooms are separate from the living/dining area, providing lots of space for relaxation or business. On the upper floors with great views, these larger apartments offer more space and superior furnishings. Features 2 bathrooms, full kitchen and laundry facilities, and the bedrooms are separate from the living/dining area. This spacious 2-bedroom executive suite is located in corner positions between levels 16-18 and offers views of either the City, or the Bay and Scenic Kings Domain Gardens. It features a large and well-appointed kitchen and living area, 2 bathrooms. There is a Nespresso machine and specialty teas provided. Stylish, cosmopolitian Southbank is the city's tourism and recreation heart. 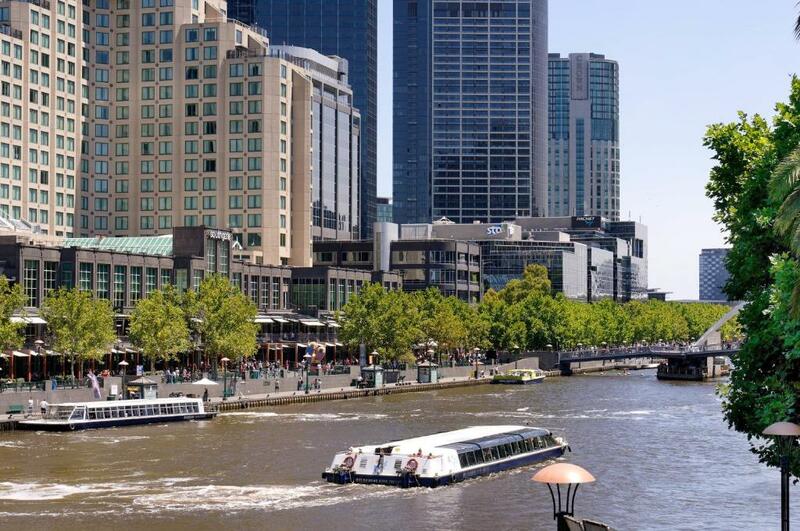 River boats link the vibrancy of Federation Square, Southgate and Crown. Outstanding dining and shopping opportunities blend with museums, leading galleries, an aquarium, concert halls and theatres to create one of the most diverse visitor precincts in the country. House Rules Quest Southbank takes special requests – add in the next step! Quest Southbank accepts these cards and reserves the right to temporarily hold an amount prior to arrival. Paying for parking when I had a email saying I would have no cost. Very comfortable and so easy to get into the city. It was so cheap for a 2 bedroom apartment and sooo roomy. It even has a balcony and 2 bathrooms. The car parking directions were not great which meant we almost got stuck in the wrong carpark. Location for where we were eating. Staff were really helpful and friendly, they were great. The facilities were real good. However the beds ere not that comfortable but bad! Overall for Myself, My Wife and our Grand Daughter it was a good experience well done. Worse night sleep in a very long time. The bed was very uncomfortable and horrible hard pillows. Overpriced one night stay for a sleepless night. Customer service from reception was outstanding. Very friendly and happy to assist with queries. Constructions around the area and Parking too small. Room size, friendly staffs and location. Noise from road construction. Loud music from some venues. Good size rooms, comfy bed and furniture, quiet, secure.